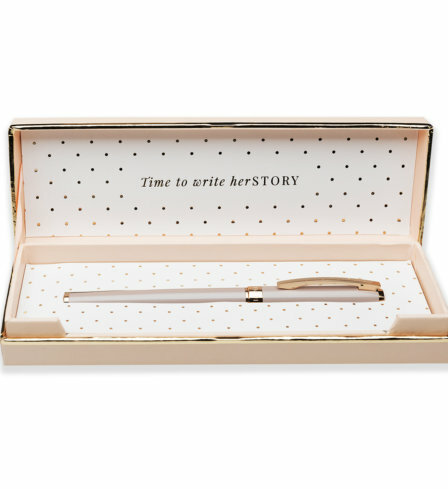 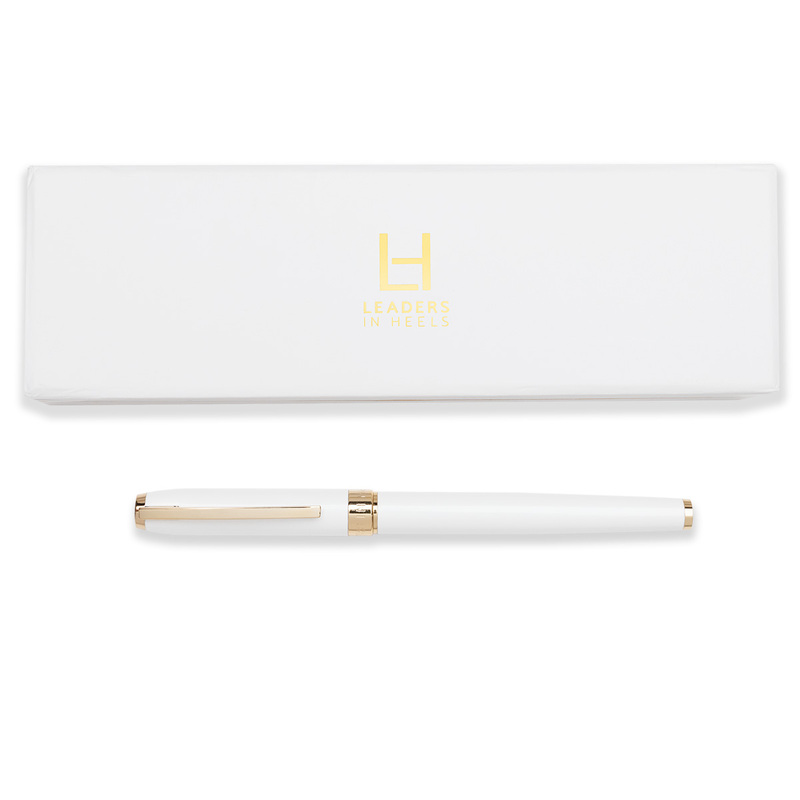 The Leaders in Heels rollerball pen makes putting pen to paper a stylish and powerful moment, the perfect gift for you or other women in your tribe to celebrate new job, promotion, wedding or new business venture. 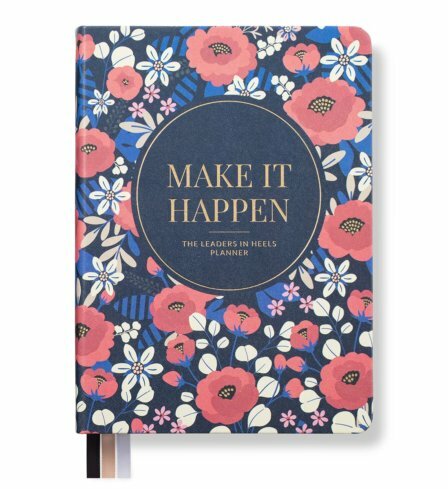 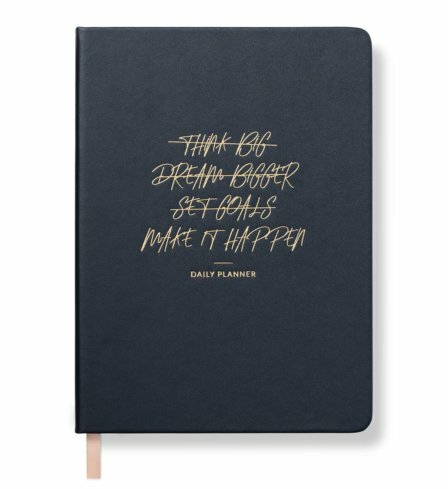 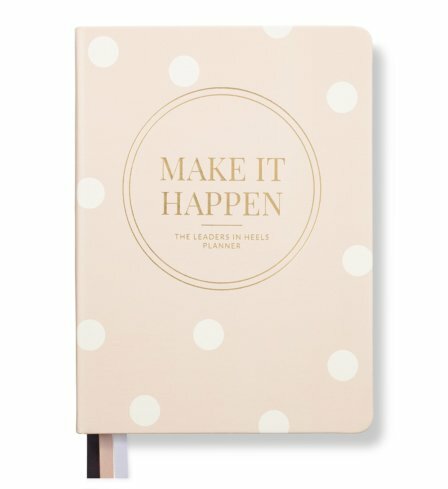 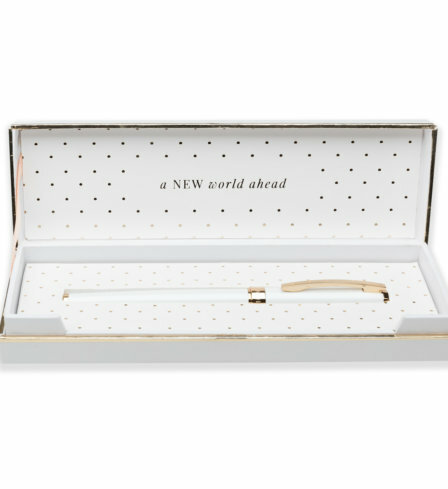 Celebrate that new job, promotion, wedding or new business venture with a pen to remember every moment of the NEW world ahead. 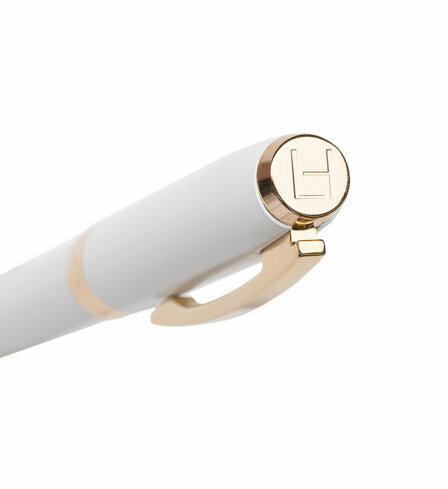 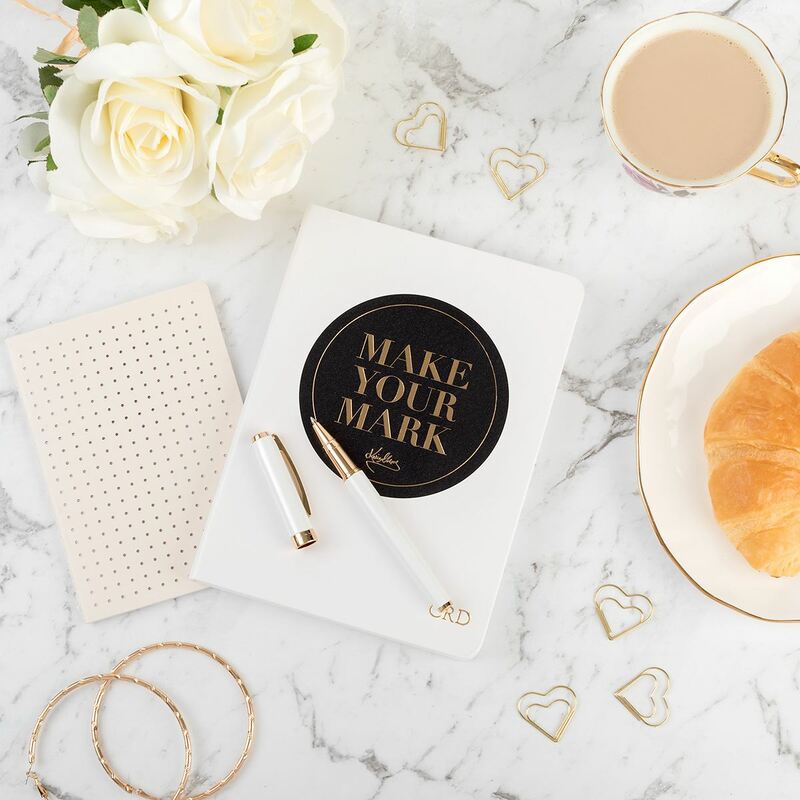 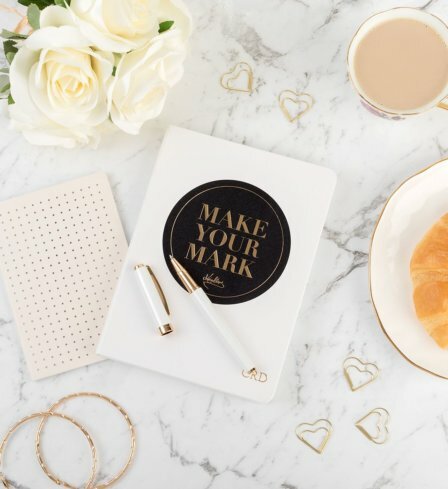 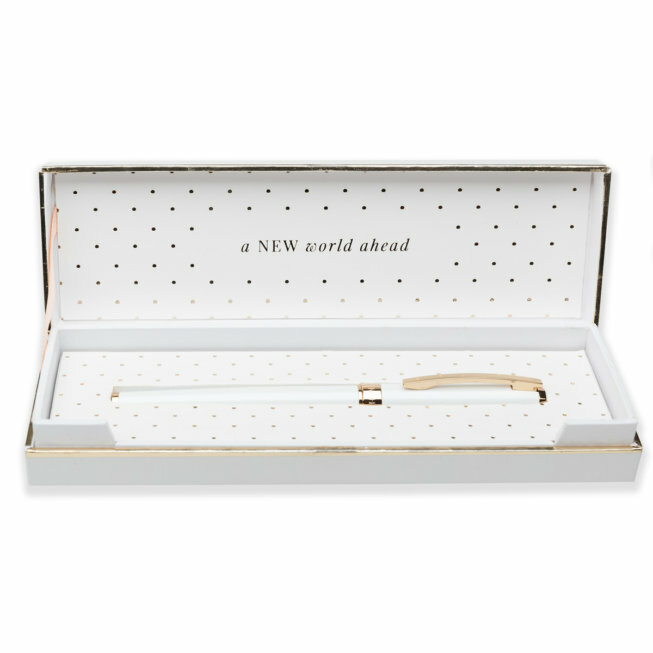 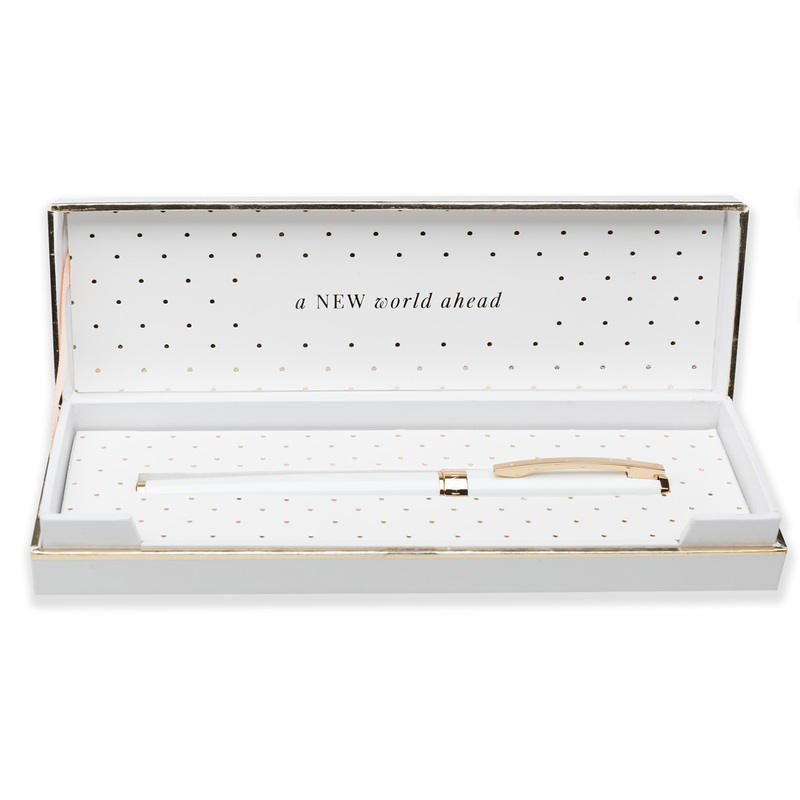 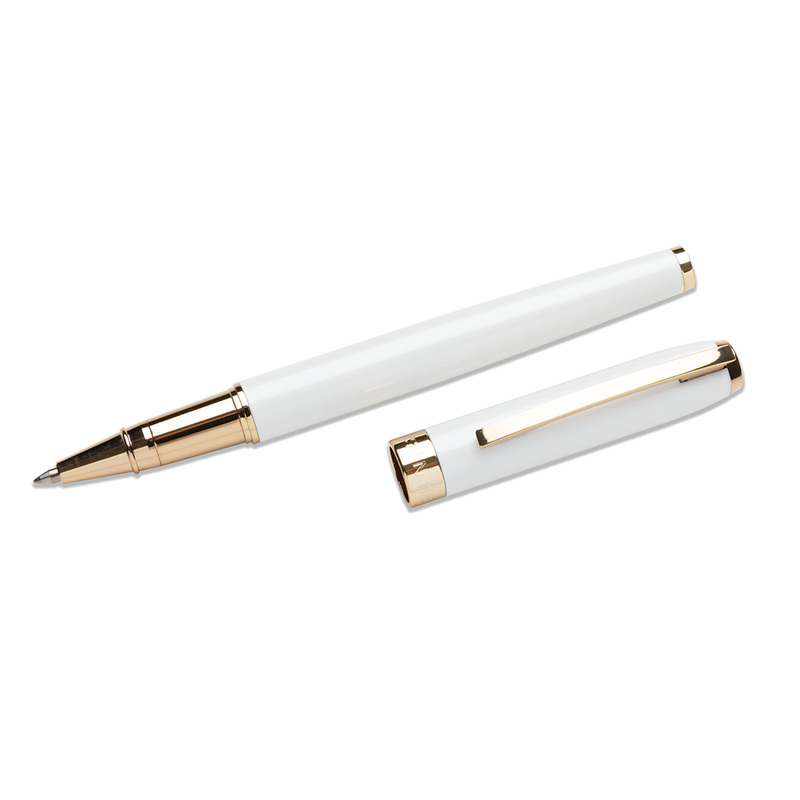 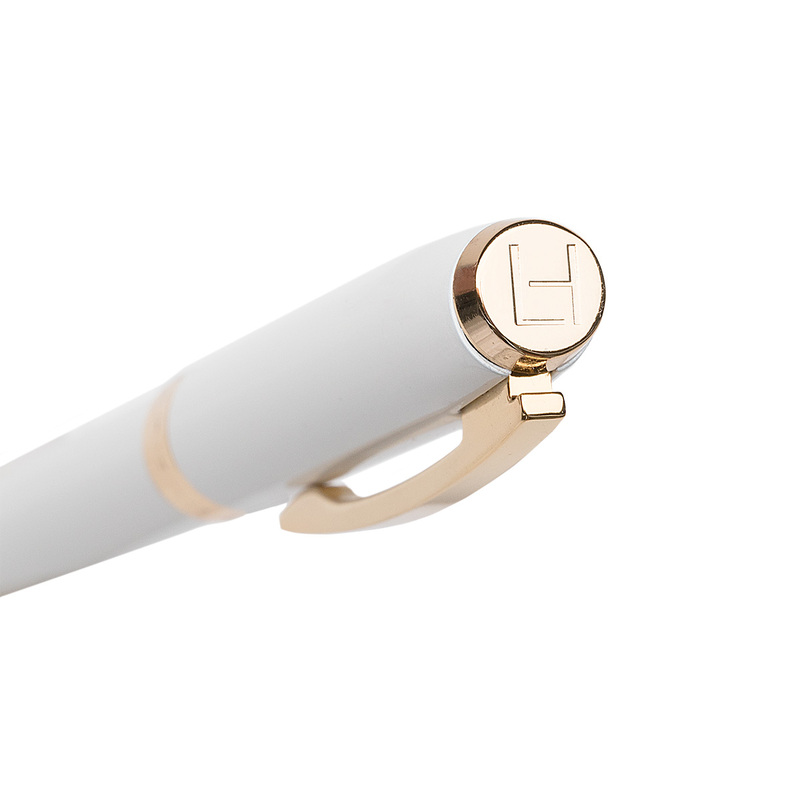 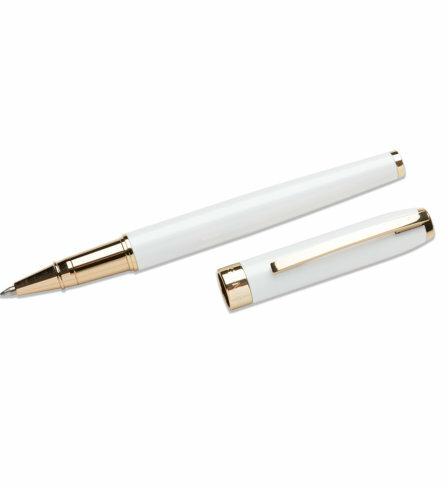 The perfect gift, for you or your Leaders in Heels tribe, this refillable 0.6mm black rollerball pen comes in pearl white* with a lacquered metal barrel and gold trims. 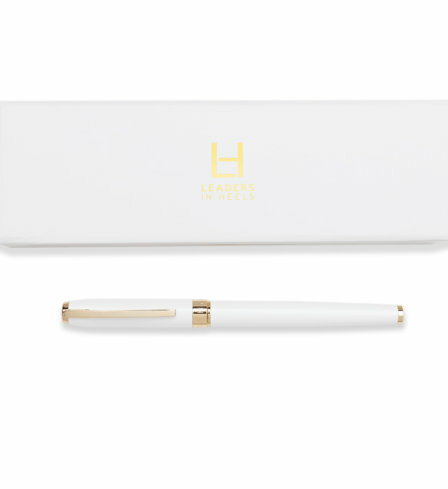 Rollerball cartridge included in an elegant padded gift box, ready to make those moments of putting pen to paper stylish and powerful!